By now, most businesses realize the importance of social media as a part of a robust digital marketing plan. 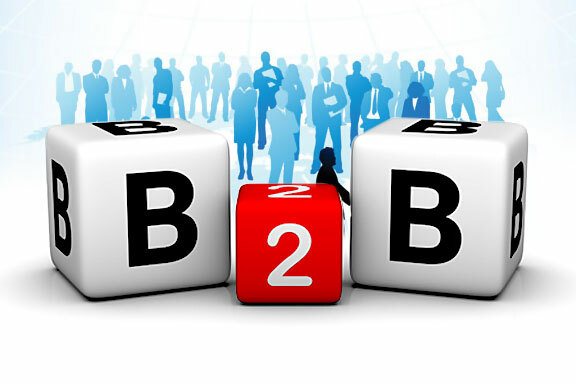 However, there is one area where social media has not yet been embraced to the same extent, and that is B2B. This is unsurprising, but not because social media is not suited to B2B marketing. Instead, it is because articles and information on social media marketing often focus only on businesses that communicate with customers (B2C) as opposed to business for whom other businesses are the customer. Yet social media has the potential to be just as beneficial to B2B as it is for any other type of business, and the basic principles are not that different. You still have to engage your audience, offer valuable content and update regularly. Here are some ways that specific social media platforms can be transformed into powerful tools for B2B marketing. The exception to the rule that B2B does not use social media, LinkedIn still tends to be under-utilized by many companies who think it is enough to simply establish a presence and then more or less abandon it. LinkedIn offers some of the richest opportunities to connect with businesses that may need your services. You can start a LinkedIn group, giving your company more authority in its industry as well as expanding the possibility for connections. Sponsored In-Mail is unique to LinkedIn and ensures you get the attention of your potential client with a well-targeted direct message while the LinkedIn forums can be vibrant and valuable places to make contacts. Athena Health saw a 61 percent increase in click-to-convert rates after targeting health care executives with material like white papers and videos. It’s true that Facebook is a far more casual environment than LinkedIn, but that doesn’t mean it cannot be a robust tool for connecting with other businesses. Facebook is also experimenting with helping B2B market more effectively with a new system of targeted ads that identifies the individuals’ employers. While it is true that individuals are not businesses, in social media marketing, it is important to alwayskeep the individual in mind. The personal touch is one hallmark of good social media marketing, and reaching out to market to individuals is an effective B2B strategy. Maersk, a Danish shipping company, generated 150 leads on Facebook by following the content marketing strategy of telling a story; in this case, it was tales of how it managed its vessels during winter in the Baltic Sea. Understanding and using hashtags can be a key part of B2B marketing on Twitter as well as following accounts you would like your business to work with and engaging with them. Both of these strategies allow your business to enter conversations and share valuable content. For example, if your company markets cleaning services to offices, you can tweet links to information about how to clean an individual work area to stay healthy during flu season or an article on environmental products that you use for cleaning. Respond to potential leads; the communications solution company Avaya closed a massive phone dealwhen a company complained about their poor phone systems and Avaya responded. One difficulty with B2B social media marketing is the conceptual leap to seeing these social tools as also being good for lead generation between businesses. However, by targeting and engaging businesses of interest in the same way that you would individual customers, can unlock the powerful potential of social media marketing for B2B. Other platforms including Pinterest and YouTube are all excellent social platforms for certain types of B2B marketing as well, and B2B companies that engage users effectively on these platforms will see measurable results.